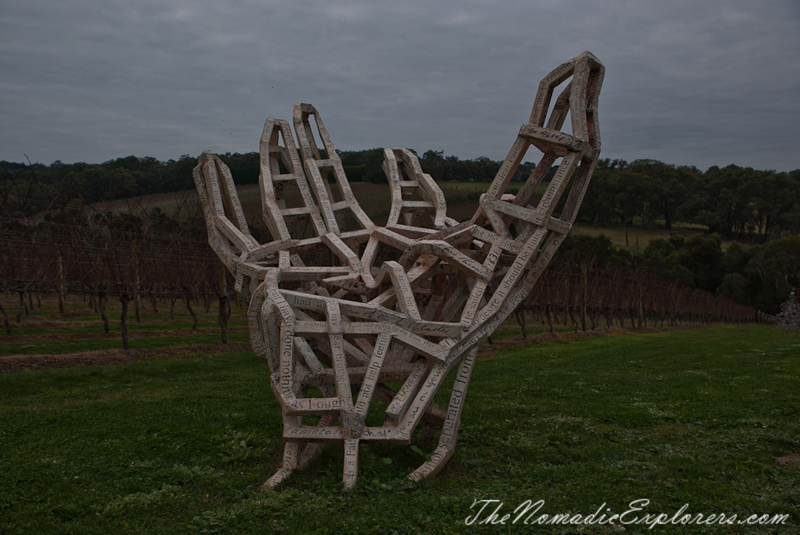 The Montalto Sculpture Park located on Mornington Peninsula is the place designed for those who enjoyed walking in the McClelland Gallery, but also would like to try some local wines. 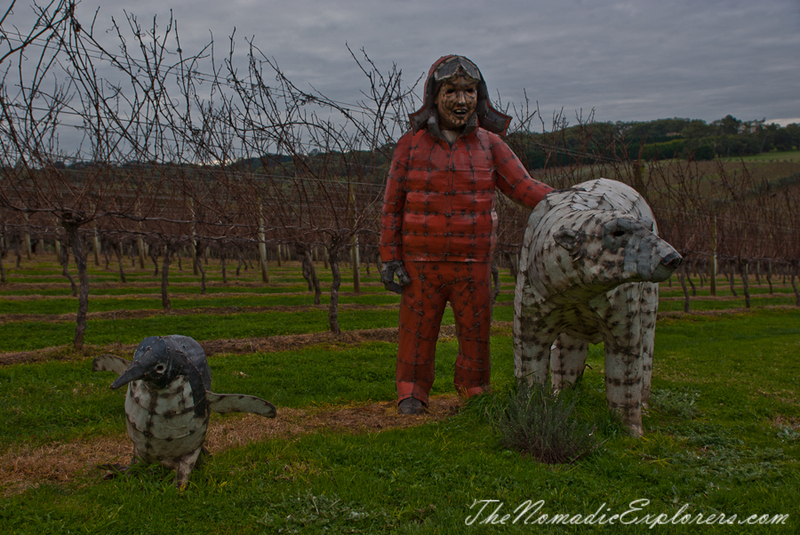 The Park houses over 20 permanent sculptures sensitively sited throughout the grounds amongst the vines and wetlands. We visited the park on rainy winter day, so don't be surprised with dark photos :) I believe that when it is warm and sunny the Park looks completely different. 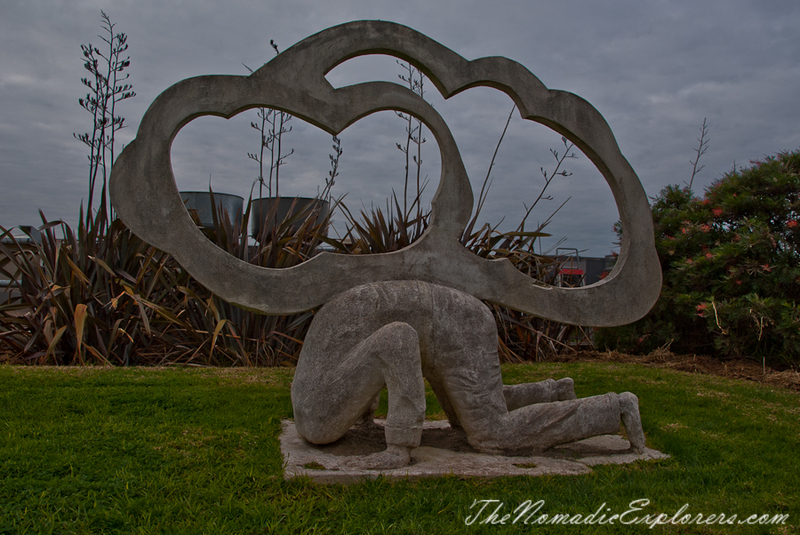 It is said that in every walk with nature one receives far more than one seeks. 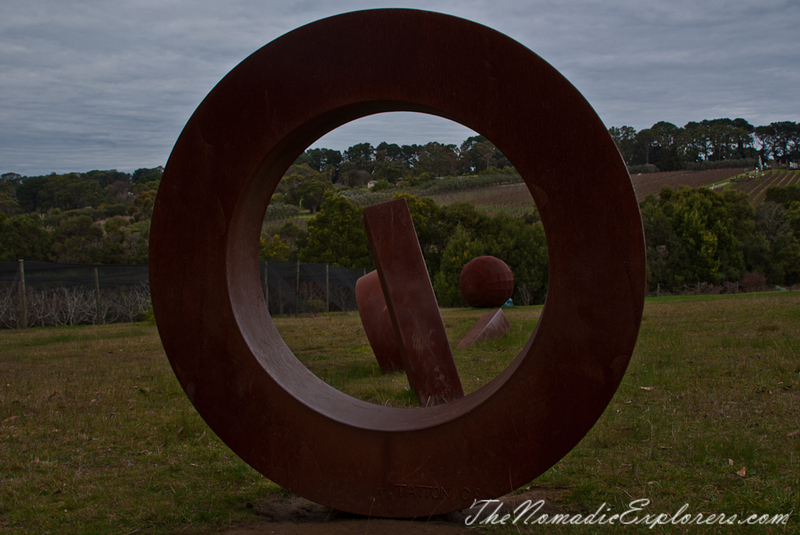 This is also true when you meander through the Montalto Sculpture Park. 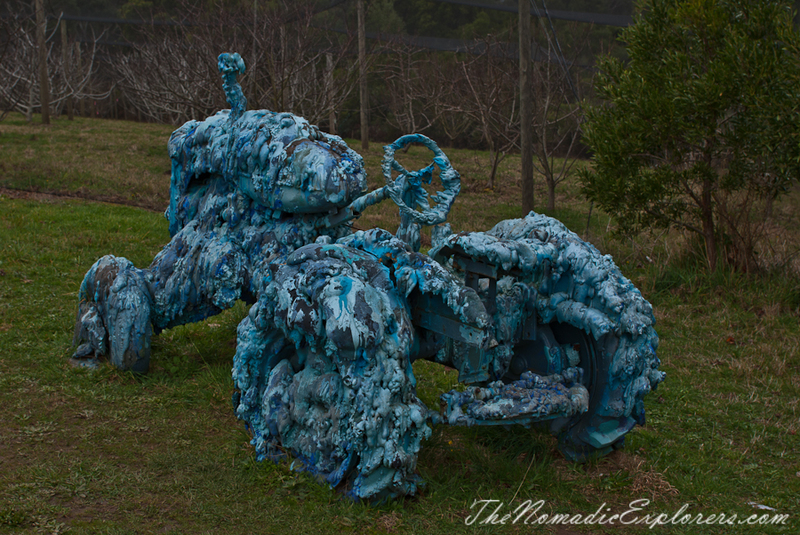 From January through to May, this permanent collection is joined by at least another 20 works which form the annual Montalto Sculpture Prize. 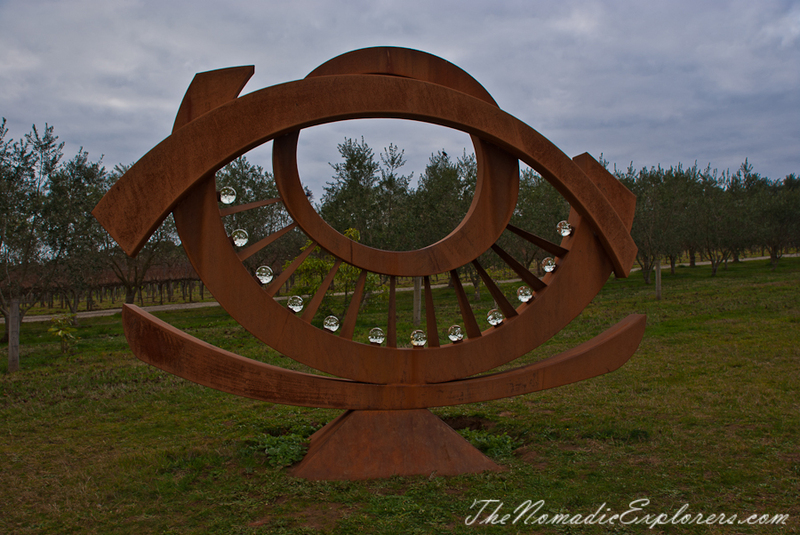 The beauty about sculptures is that like us they occupy real spaces. You walk around them and relate to them as equally as another object or person. Further to this, you’ll encounter calming open spaces, mystic wetlands, endless vines, abundant birdlife and gorgeous gardens. The trail is approx 1km and suitable for most ages and abilities, it meanders over grassy lawns, gravel pathways through vines and boardwalks through wetlands. 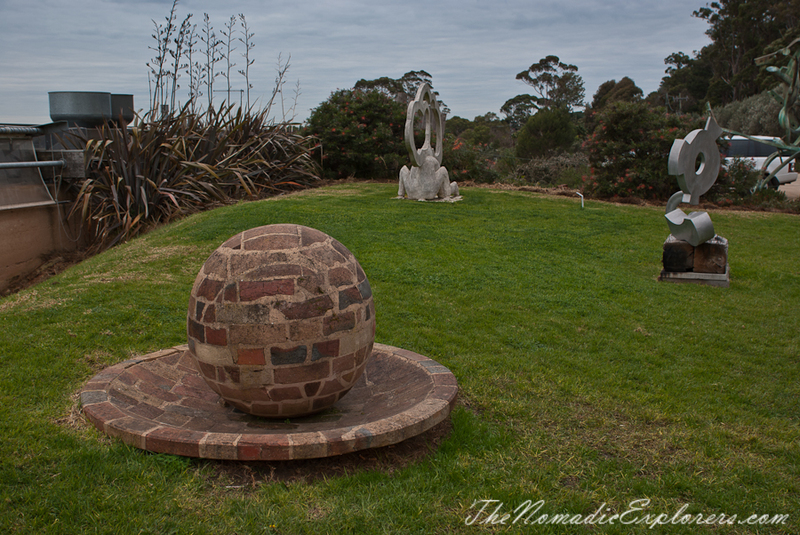 The grounds are undulating, and reasonably steep in sections, there are benches dotted along the walk, for a well earned rest as you go, and usually situated amongst the bush. 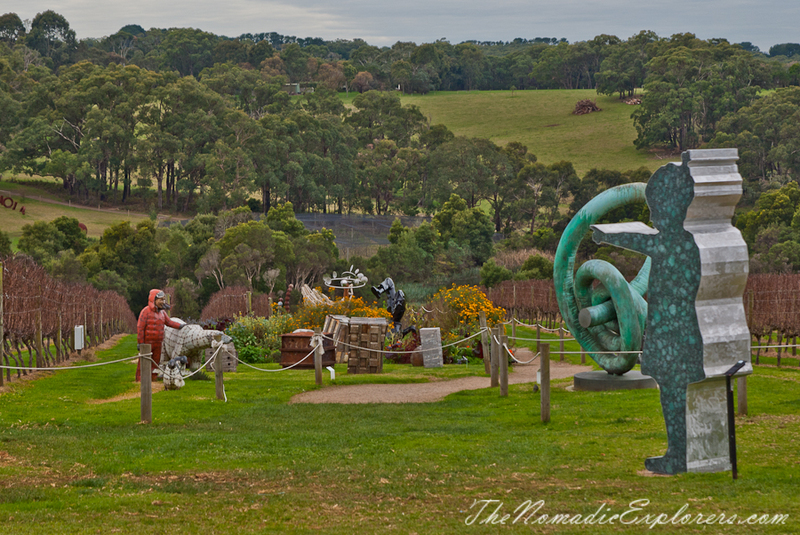 Montalto are open daily between 11am – 5pm. 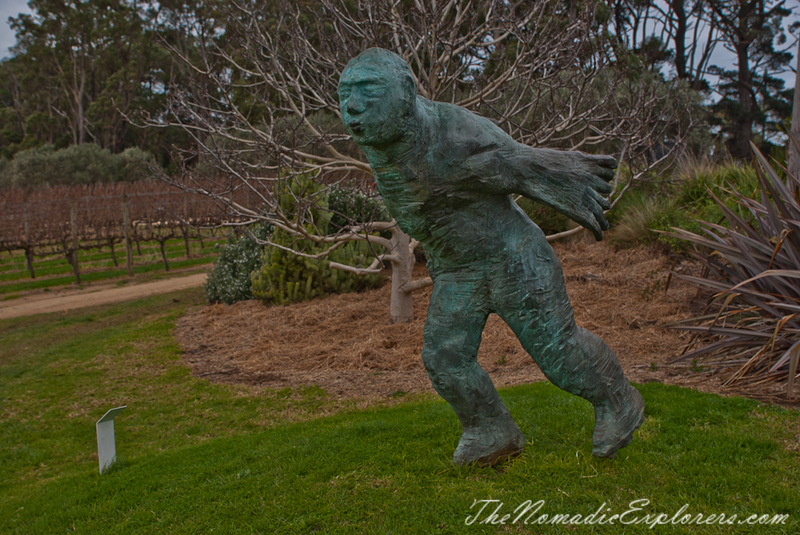 Please allow 1 hour to enjoy the Sculpture throughout the property. P.S. We haven’t been to their restaurant or cafe, so I cannot say anything about the food quality. 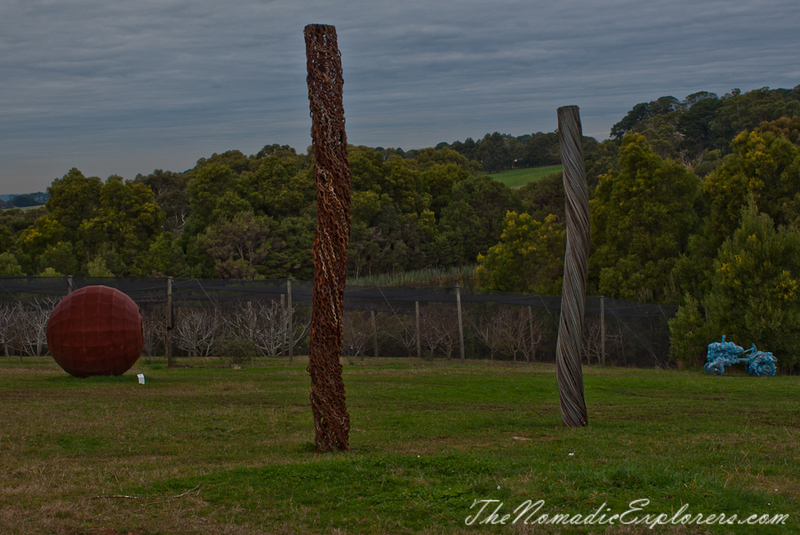 All that I know that it is quite expensive, but as the entry to the Sculpture Park is free, you can always have a picnic in the nearest park.